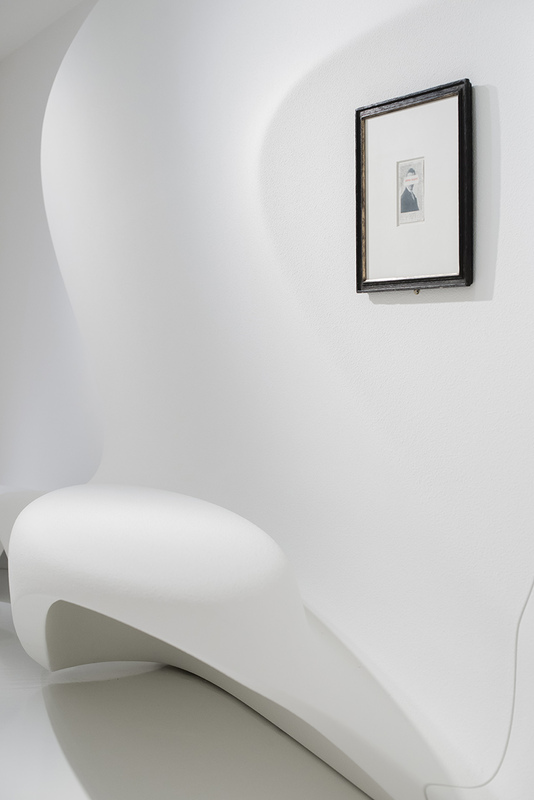 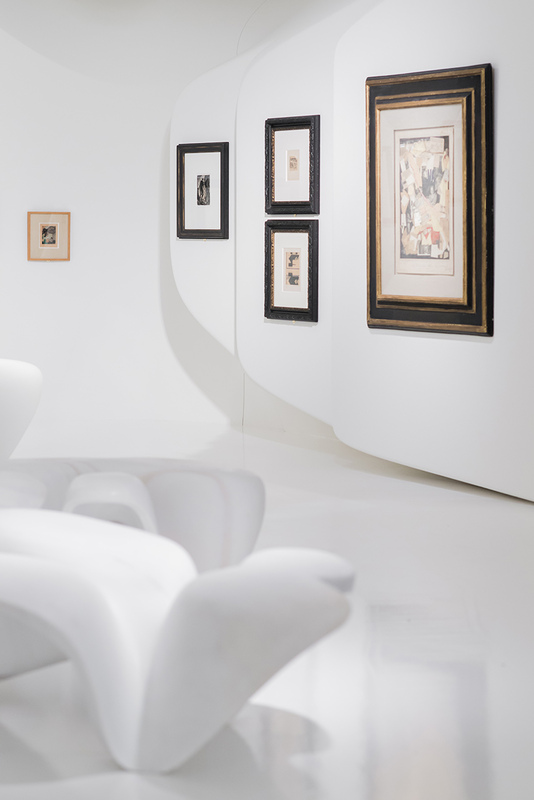 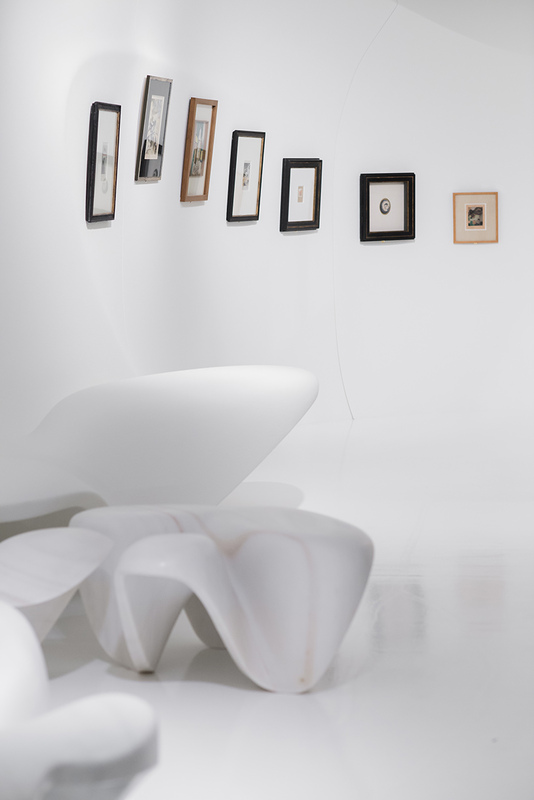 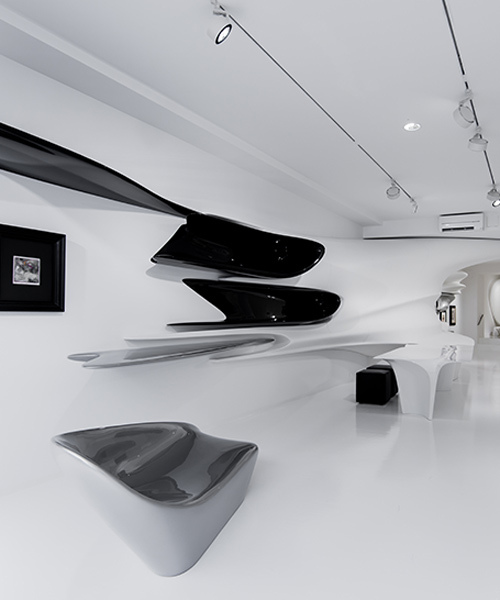 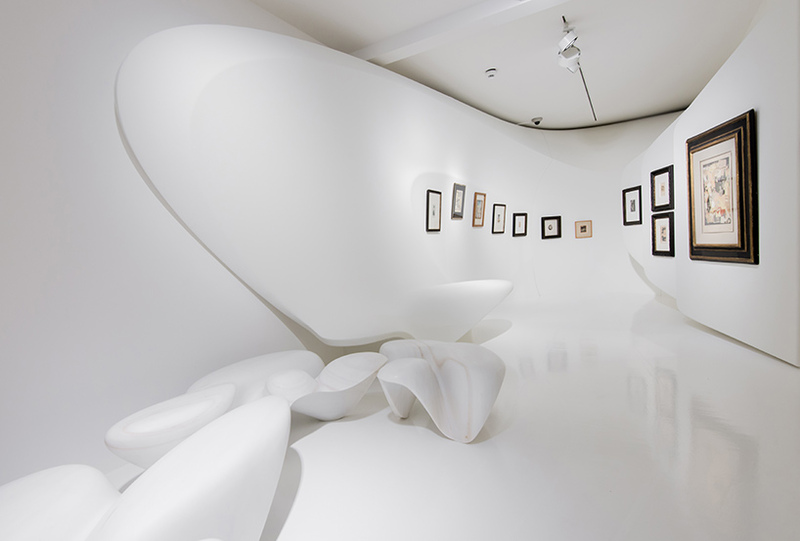 after realizing a similar project seven years ago, where zaha hadid transformed galerie gmurzynska into a ‘suprematist’ space in reference to kasimir malevich, this project pays tribute to another important artistic influence on hadid’s work. 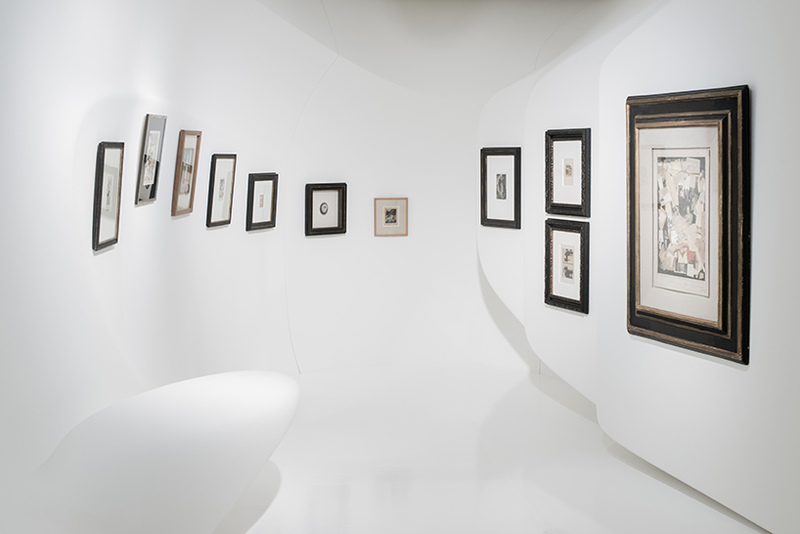 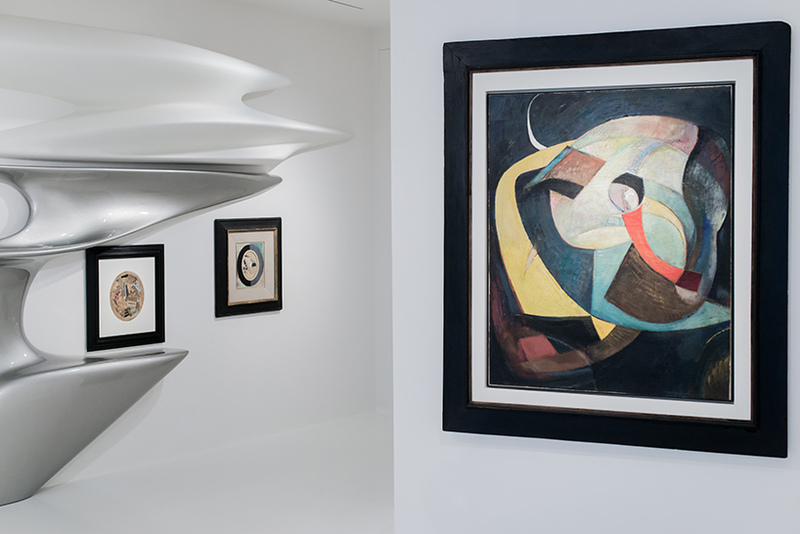 schwitters’ famous ‘merzbau’ — a collaged transformation of a series of residential rooms — was the starting point for hadid’s exhibition design, which seeks to embrace ‘the unpredictable richness and the complex variegated order found in nature’. 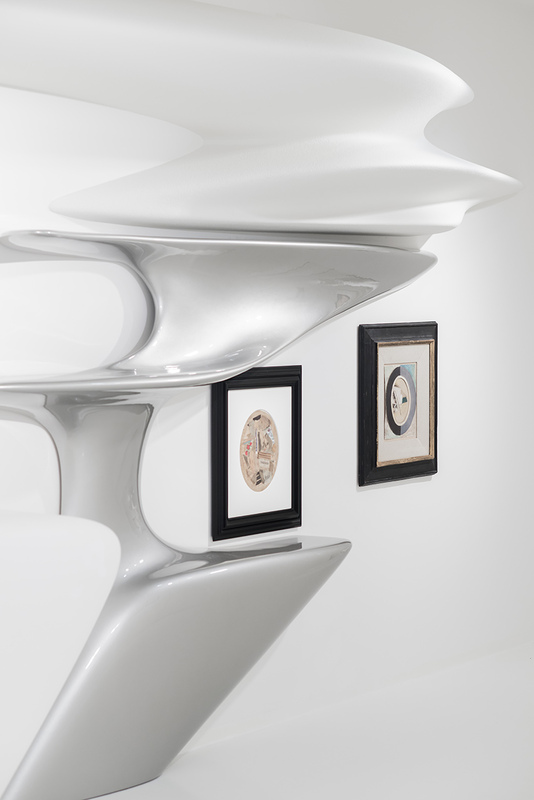 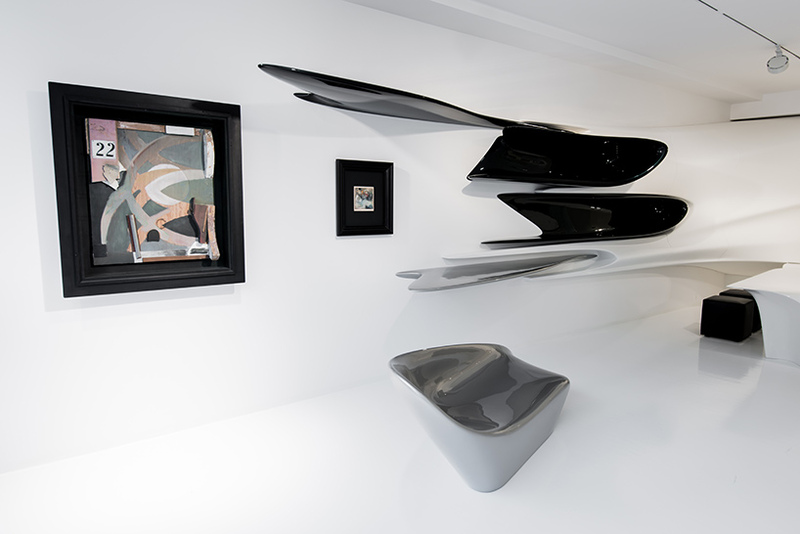 paintings and sculptures by schwitters dovetail with zaha hadid’s own works, forming an abstract and intriguing marriage within the gallery. 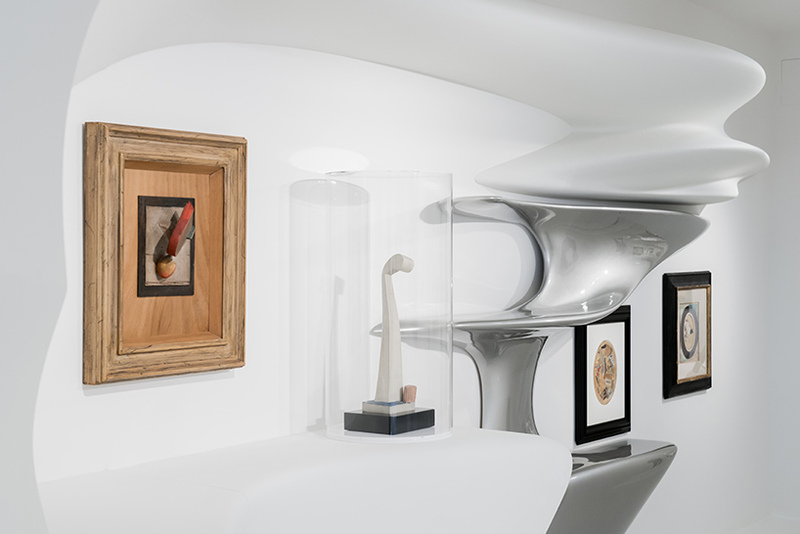 ‘kurt schwitters: merz’ remains on view at galerie gmurzynska in zurich until september 30, 2016.